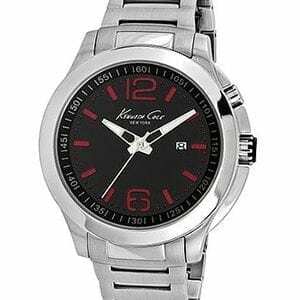 The sophisticated yet stylish design of this Automatic watch by Kenneth Cole allows this watch to be worn in any professional setting. 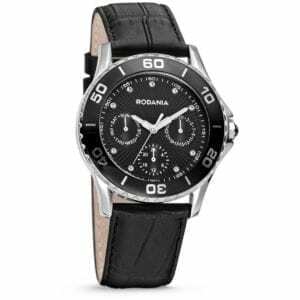 This versatile timepiece has a black leather band that allows for a comfortable fit and a durable mineral crystal that helps protect the watch from excessive damage. Model #: KC8014 One year limited warranty. 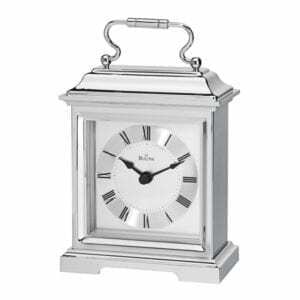 Silver Metal Finish, Carriage Clock. B7471 One year limited warranty. 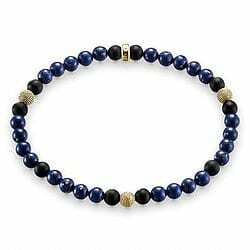 X0189-451-18 The Charm bracelet crafted from black facetted obsidian, cultivated freshwater pearls and 925 Sterling silver beads with 925 Sterling silver carrier is a timelessly-elegant item of jewellery. 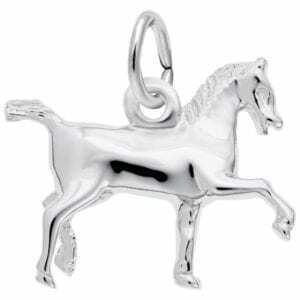 It reveals its truly expressive personality when combined with Charm pendants. 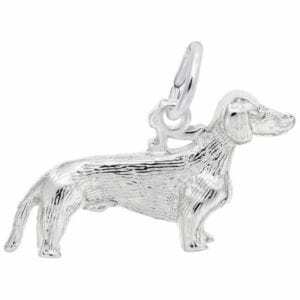 10-1790 Rembrandt- Sometimes referred to as a wiener or badger dog, the Dachshund Dog Charm is a long bodied pup. 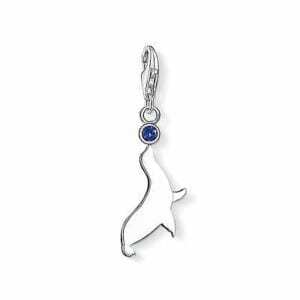 Keep your pet with you all day with this charm. 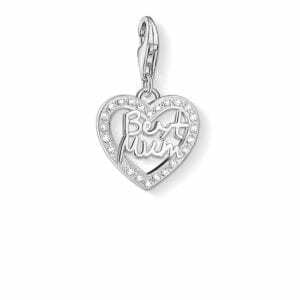 PE697-641-11 Thomas Sabo Glam & Soul Pendant. 26053.80 One year limited warranty. 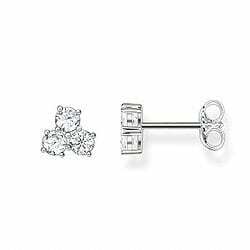 H1927-051-14 Thomas Sabo silver earrings with cubic zirconia. 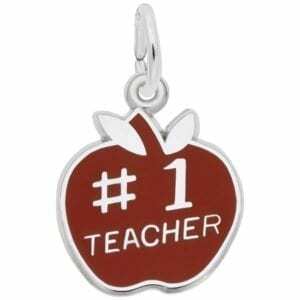 10-3460 Rembrandt- Become teacher’s pet with this colorful Number One Teacher Apple Charm. Learn that education can be fun and stylish. 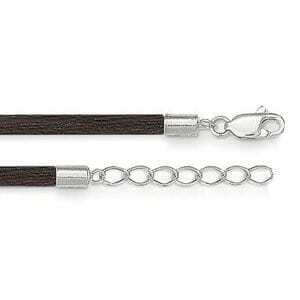 Engrave a school name or year on back. 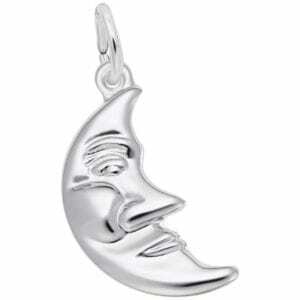 10-6476 Rembrandt- Add celestial style to your Classic Charm Bracelet with the Half Moon With Face Charm. 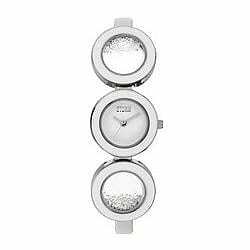 The STORM Zazi is a unique watch with floating Swarovski crystals which move freely within a ring that floats around the case. The Zazi is made from high grade brushed stainless steel with a clear case back, a rotating ring second hand and crystals on the dial. One year limited warranty. 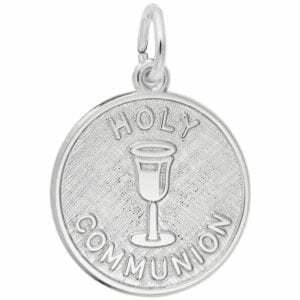 10-6532 Rembrandt- Celebrate her rite of passage with the Small Holy Communion Disc Charm. 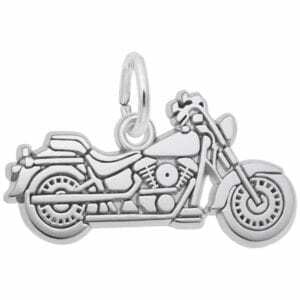 This religious charm can be custom engraved on the back. 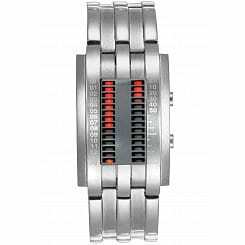 The STORM MK2 Circuit watch has a modern design and futuristic appeal. 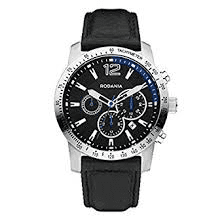 This best selling watch is made from brushed stainless steel and features a mirror dial with red LED vertical display that indicates the time at the press of a button. The lights on the left denote hours and AM/PM; those on the right show the minutes in tens (10-50) and single figures (1-9). Waterproof to 50m with easy change battery and date function. One year limited warranty. 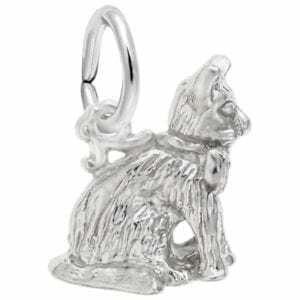 10-1809 Rembrandt- Claw your way over and add your favorite pet to a classic bracelet. 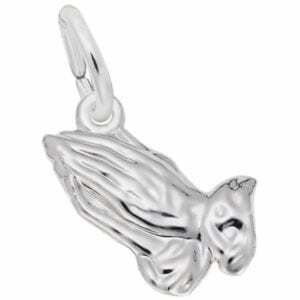 Our Sitting Cat Charm will keeps you cuddly friend close. 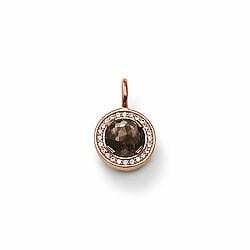 10-7800 Rembrandt- Bring your favorite parable to life with our Mustard Seeds Capsule Charm. 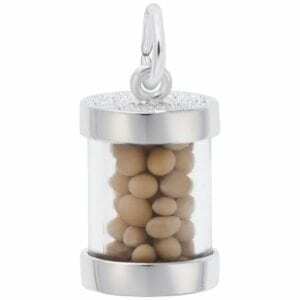 These Mustard Seeds will plant your hope and faith. 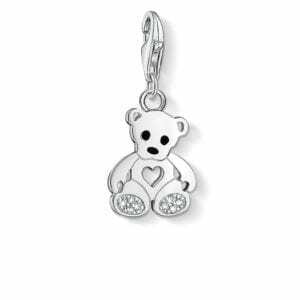 11-1213 THOMAS SABO Charm pendant from the Charm Club Collection. 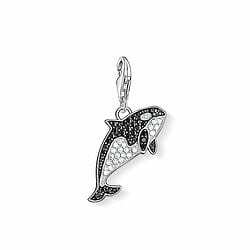 Like a thousand drops of water, the black and white pavé zirconia dazzles on the skin of the orca whale. 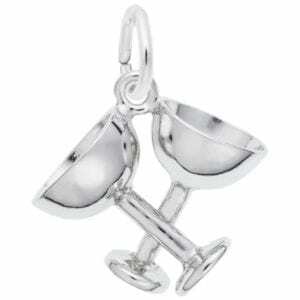 10-1145 Rembrandt- Make a toast to the new year or even an anniversary with the Champagne Glasses Charm. 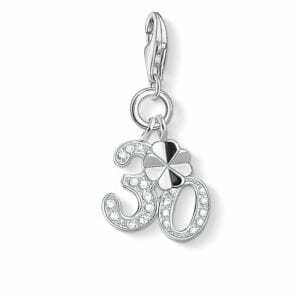 This charm is perfect for any celebration. 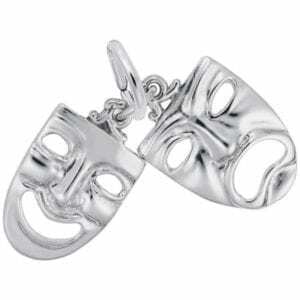 710459 Rembrandt- Keep the comedy and tragedy of the stage close to you with our Theatre Masks Charm. 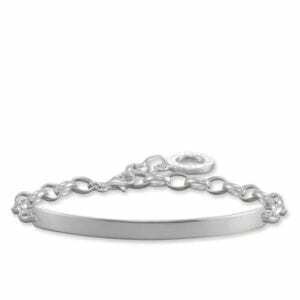 Share your memories on a bangle bracelet. 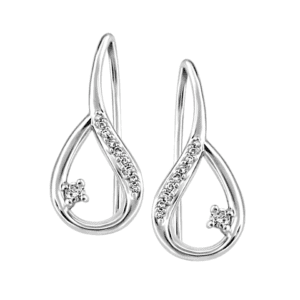 Fire and Ice™Teardrop Shepherd Earrings. 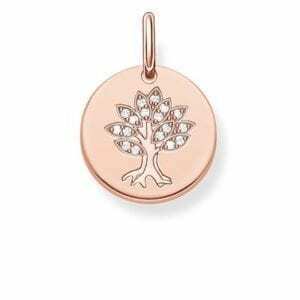 11-1212 THOMAS SABO Charm pendant from the Charm Club Collection. This little seal shows its talents for all to see: he is balancing a dazzling ball made of syn. 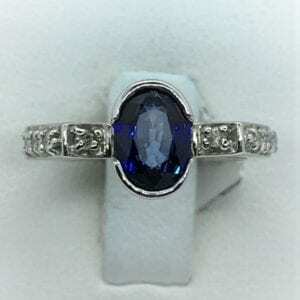 dark-blue spinel on his cute nose. 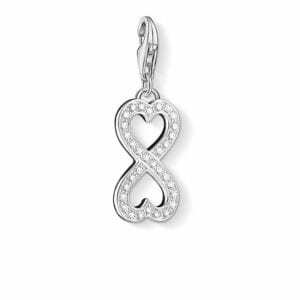 1306-051-14 Thomas sabo Heart Infinity charm pendant with CZ. 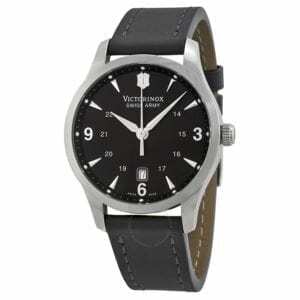 Victorinox Alliance men's watch, Stainless steel case with a black leather strap. 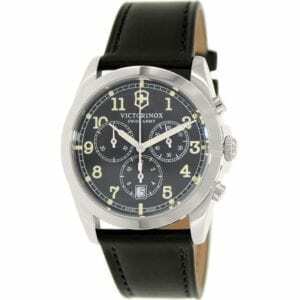 Swiss made movement. 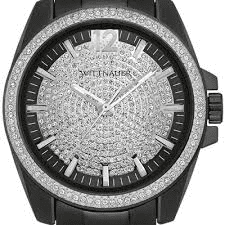 241474 One year limited warranty. H1810-416-14 THOMAS SABO Sterling Silver. 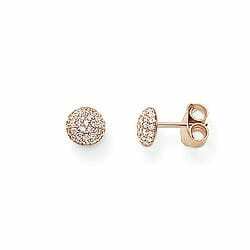 Glam & Soul Ear stud Rose gold plated. 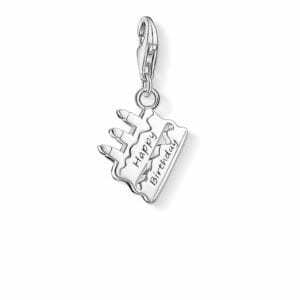 10-0216 Rembrandt- Express your faith with the Small Praying Hands Charm. 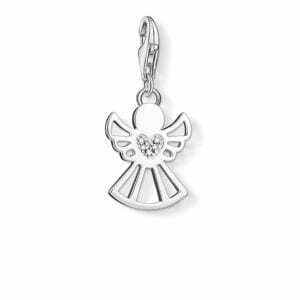 This engravable charm is perfect for anyone with spiritual or religious beliefs. 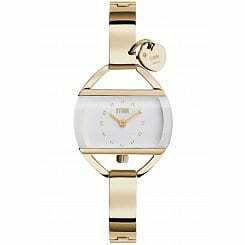 Metal Case with polished brass finish, Protective glass lens, Quartz movement. B7470 One year limited warranty. 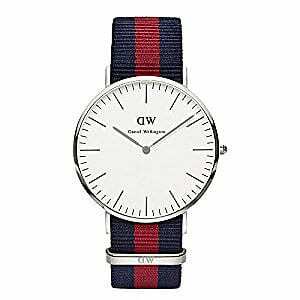 Daniel Wellington 40mm Classic Oxford Watch with Navy and Red Fabric Strap. STK #: 0201DW One year limited warranty. 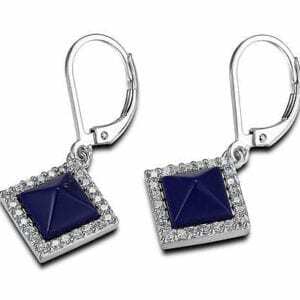 R2LBNZCR03 Sterling Silver Created Lapis Lazuli & CZ Earrings from ELLE Jewelry's Nefer Collection. 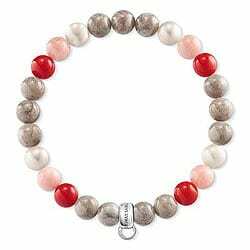 Features the ELLE signature genuine ruby, symbolizing a woman's strength and inner beauty. 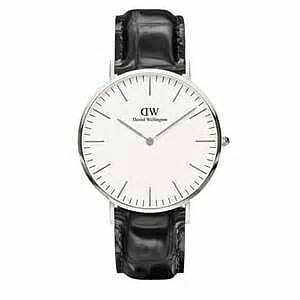 Daniel Wellington 40mm Classic Reading watch with Black Leather Strap and Silver Detail. STK #: 0214DW One year limited warranty. 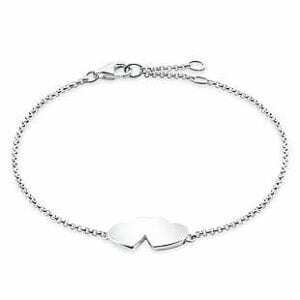 10-5592 Rembrandt- The Signed With Love Accent Charm is a great addition Bracelet, to show your true expression of love. 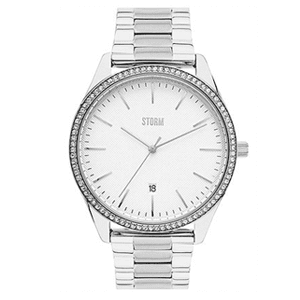 The STORM Tristal is a unique watch with 3 enamel rings with floating Swarovski crystals which move around and follow your every movement. 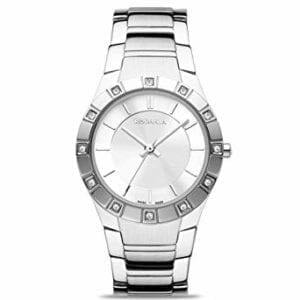 The Tristal is made from highly polished stainless steel with a high grade leather strap. One year limited warranty. 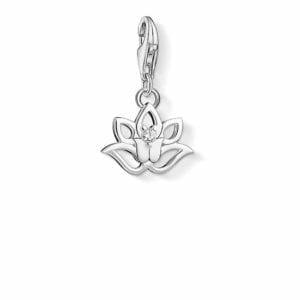 10-0393 Rembrandt- The Four Leaf Clover Accent Charm is an Irish bit of good luck. 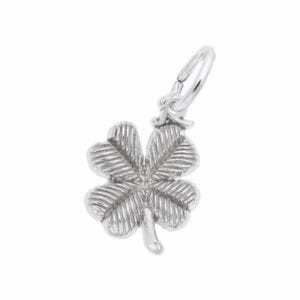 This shamrock is available in silver and gold. 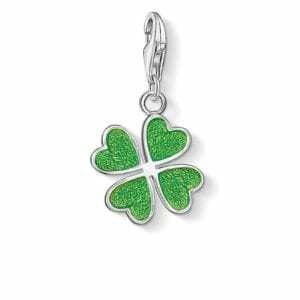 It makes a precious gift for St. Patrick’s Day or your Irish love. 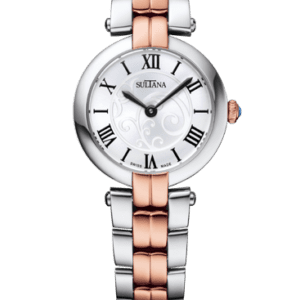 Sultana ladies watch with sapphire 390201 One year limited warranty. 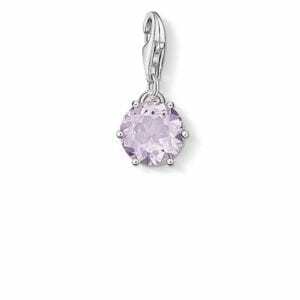 1260-590-10 Thomas sabo July birth stone charm pendant. 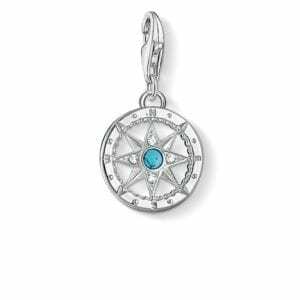 1259-163-13 Thomas sabo June birth stone charm pendant. 25074.21 One year limited warranty. 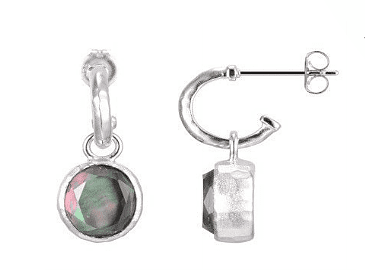 R2LC0NA458 Elle Blue Chalcedony Post Earrings. 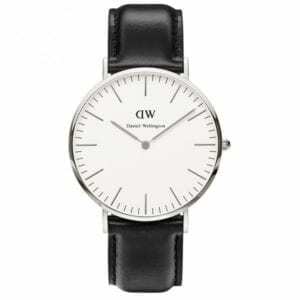 Daniel Wellington 34mm Classy Sheffield Watch with Black Leather Strap and Silver Detail. 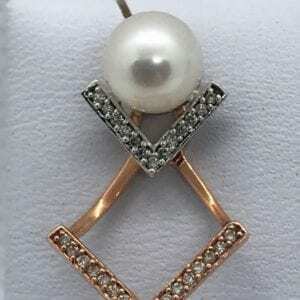 STK #: 0961DW One year limited warranty. 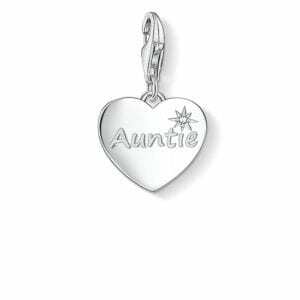 1271-051-14 Thomas sabo silver Auntie charm pendant. 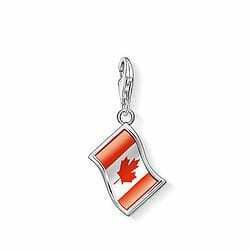 11-1182 Thomas sabo Flag charm pendant. 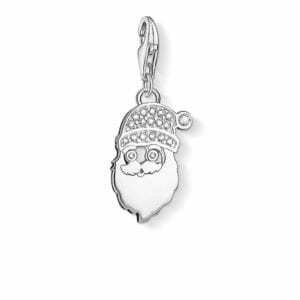 1320-051-14 Thomas sabo silver Santa Claus charm pendant. 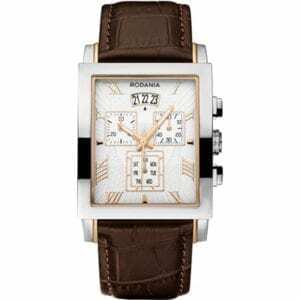 Rodania Strada: is an amazing and handsome Gents watch. 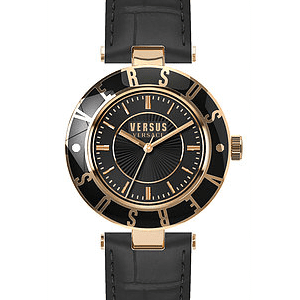 Material of the case is Stainless Steel, which stands for a high quality of the item and the Black dial gives the watch that unique look. 50 metres water resistancy. It is not reccomended for high impact water sports. 2492226 One year limited warranty. 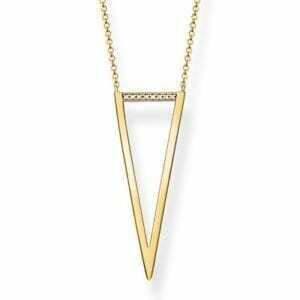 KE0008-924-14 Thomas sabo gold plated triangle necklace. 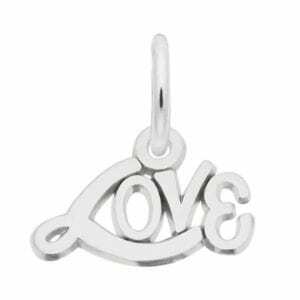 11-1227 THOMAS SABO Charm pendant from the Charm Club Collection. 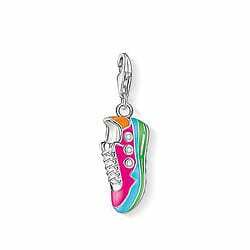 This shoe trend is now conquering the wrist as well: the colourfully-enamelled 'sneaker' Charm with white zirconia is an absolute must-have for all fans of the casual shoe. 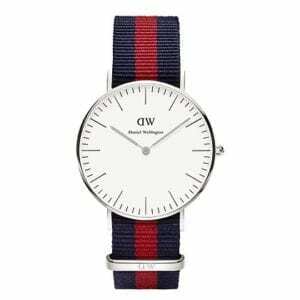 Daniel Wellington 36mm Classic Oxford watch with Navy and Red Fabric Strap and Silver Detail. STK #: 0601DW One year limited warranty. 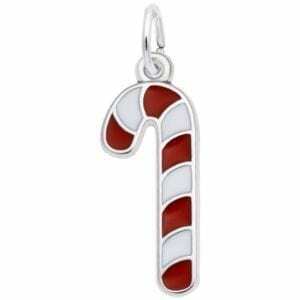 10-2388 Rembrandt- The Support Our Troops Ribbon Charm raises support for our troops at war and their safe return home. 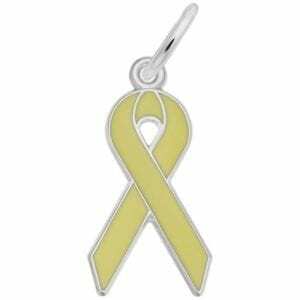 This yellow ribbon is perfect for current military family members and veterans. 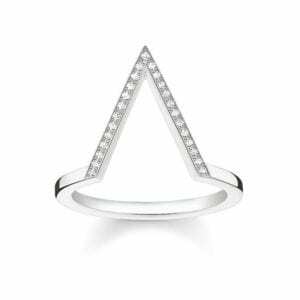 D_TR0020-924-14 DETAILS: - Dazzling diamond embellishment - Boho style - Graphic shape Filigree cut-out design: this delicate ring with the diamond-embellished triangle at its centre elegantly unites the contradictions between subtle street style and strength. 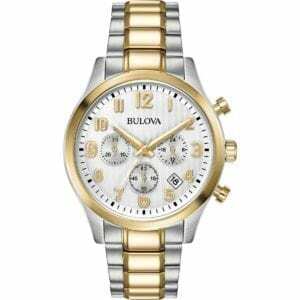 STORM watch Silver Band with White Face One year limited warranty. 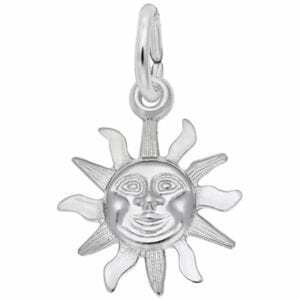 10-5152 Rembrandt- Brighten her day with the Small Sunshine Charm. 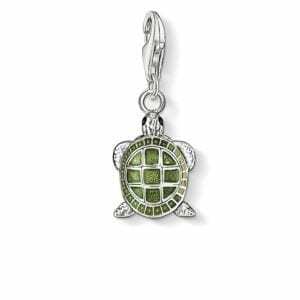 This sizzling summer charm is bursting with personality. 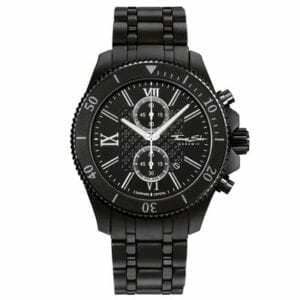 Thomas Sabo "GLAM CHRONO" watch from the Glam & Soul collection. 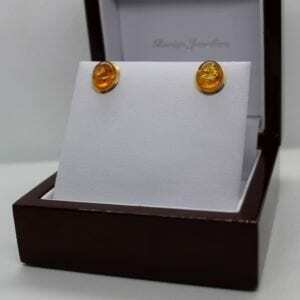 WA0190-201-202 One year limited warranty. 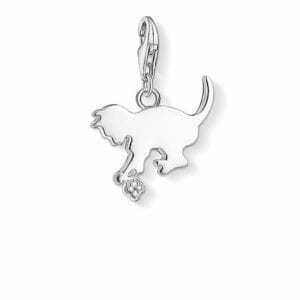 DC0025-725-14 Thomas sabo silver kitten charm pendant. 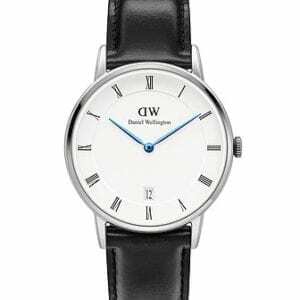 Daniel Wellington 34mm Dapper Sheffield Watch with Blue Hands and Black Leather Strap with Silver Detail. 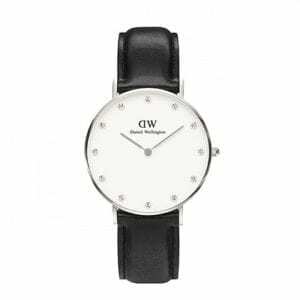 DW00100096 One year limited warranty. 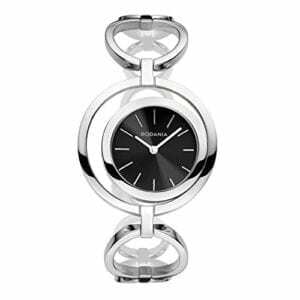 The STORM Temptress Charm is one of our best selling ladies watches. 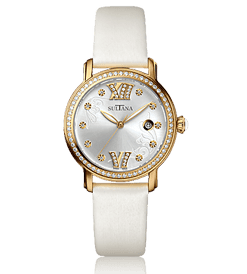 The watch is curved to fit neatly around your wrist with raised a white glass dial and a cute heart charm, accented with a single swarovski crystal. 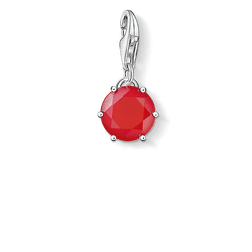 The Temptress charm is made from 21 karat gold plated stainless steel and has easilink fastening meaning it can be easily self adjusted to fit your size. Be unique! One year limited warranty. 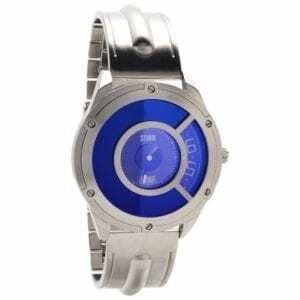 Storm Steffentron Lazer Blue Stainless Steel Bracelet Watch. 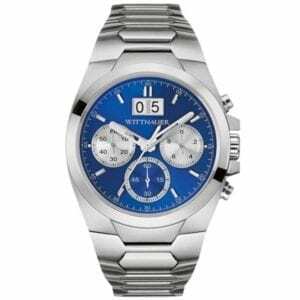 STEFFENTRON One year limited warranty. 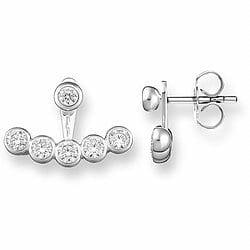 Water resistant to 30m (100ft): in general, withstands splashes or brief immersion in water, but not suitable for swimming or bathing . 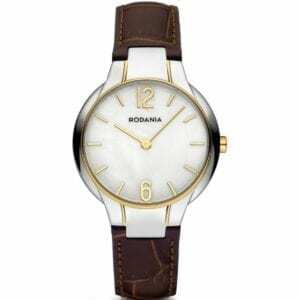 Rodania Analogue Ladies Watch Brown leather Strap. 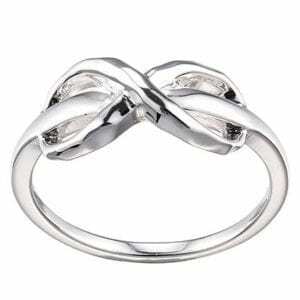 2609570 One year limited warranty. 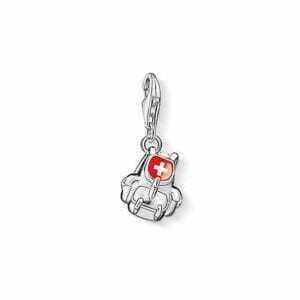 1209-603-10 This small companion with the Swiss flag is an absolute must-have for any hiking tour through the beautiful Swiss mountains! 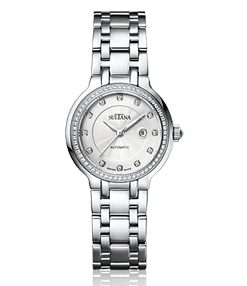 Offering subtle, yet powerful, elegance, with 80 crystals individually hand-set on a faceted case, this distinctive stainless steel timepiece, in sophisticated brushed finish. STK #: WN3002 One year limited warranty. 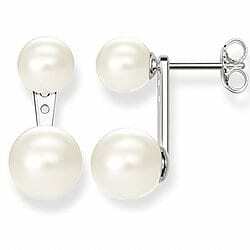 10-8150 Rembrandt- Add a flair of old fashioned style to your charm bracelet with the Top Hat Charm. 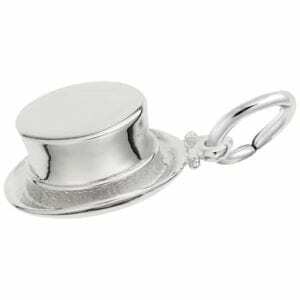 The top hat is also often found as a prop in tap dancing. 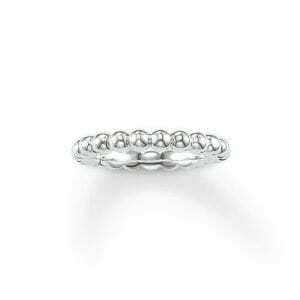 R4L970A0AC Sterling Silver Esoteric Ring from ELLE Jewelry. 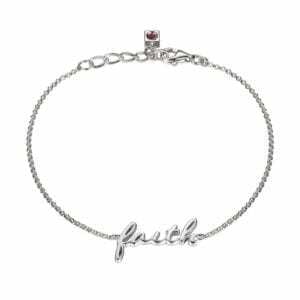 Features the ELLE signature genuine ruby, symbolizing a woman's strength and inner beauty. 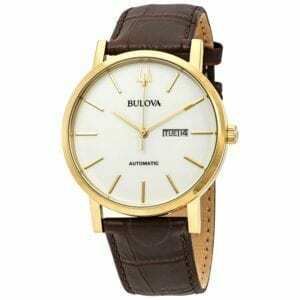 Bulova Chadbourne Old World Clock, Walnut Finish. 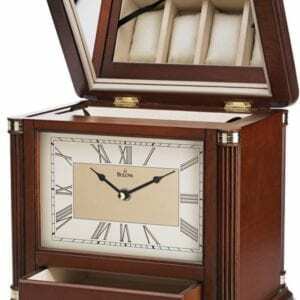 Solid Wood And Wood Veneer Case, Two-tone metal dial with raised numerals. 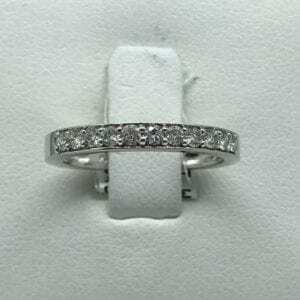 H: 8.25" W: 12.5" D: 4.5" B1975 One year limited warranty. 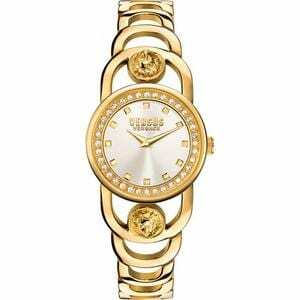 Versus by Versace, Stainless steel watch, all gold with lion and gold links. SCG100016 One year limited warranty. 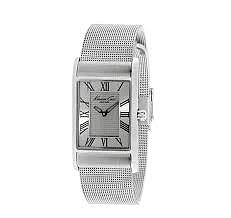 Polished stainless steel watch, Quartz movement with analog display, sapphire crystal. 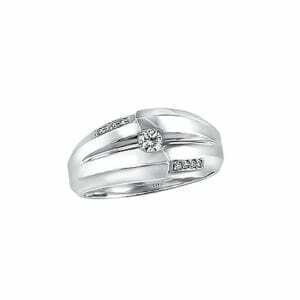 241588 One year limited warranty. 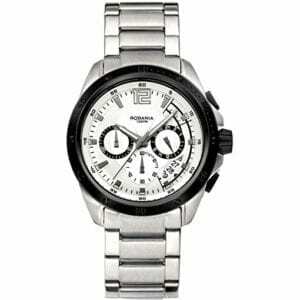 Kenneth Cole New York Men's Technology- Backlight Analog Display Quartz Silver Watch 1022557 One year limited warranty. H1921-051-14 Thomas sabo silver stud earrings. 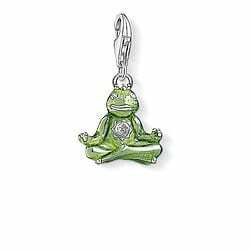 1302-041-6 Thomas Sabo Yoga Frog Charm. 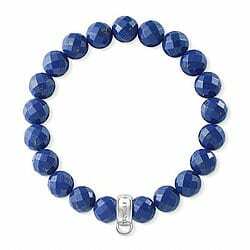 X0207-771-32 The Charm bracelet made from imitation lapis lazuli brings a maritime flair to the wrist. 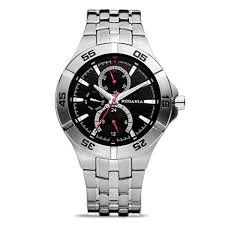 Stainless steel Men's Watch, Date display, Chronograph. 26132.49 One year limited warranty. 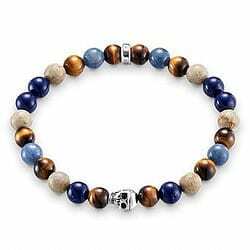 A1532-926-7 Talisman in earth hues with royal blue accents – this Rebel at heart Stretch Bracelet is exquisitely upgraded by the skull crafted from Sterling silver. 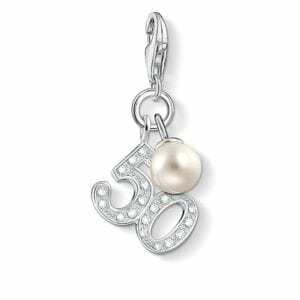 1241-167-14 Thomas sabo silver ''50'' charm with pearl. 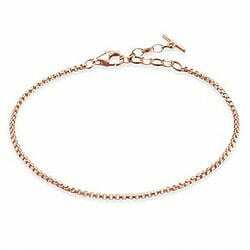 PE621-441-2 THOMAS SABO Rose gold plated. 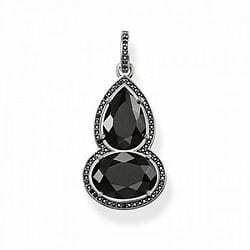 Glam & Soul Pendant. 10-0886 Rembrandt- Pacifiers keep the crying down for any mom. 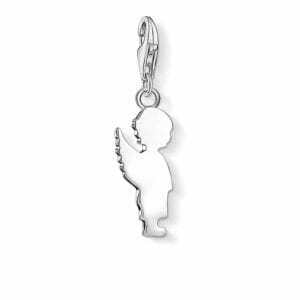 The Pacifier Charm makes a perfect baby shower present. 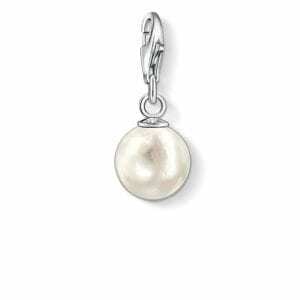 0990-028-14 Thomas sabo pearl charm pendant. 10-2331 Rembrandt- Get past the falling leaf and consider yourself a snowboarding professional. 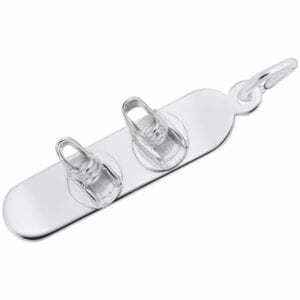 Show off your excitement for the downhill winter sport with the Snowboard Charm. 10-0617 Rembrandt- Tiptoe into your living room like when you were a child to peak into our Stocking Full Of Joy Charm. 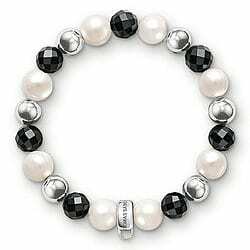 Great for any holiday bracelet. 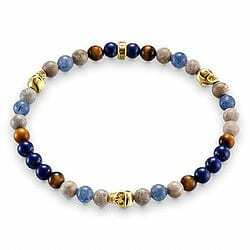 A1530-928-7 Talisman in earth hues with royal blue accents – this Rebel at heart Stretch Bracelet is exquisitely upgraded by the skulls with their yellow gold plating. 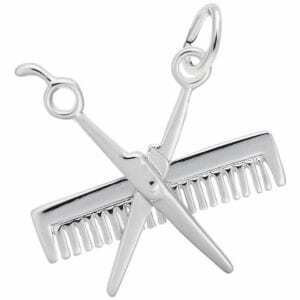 10-3318 Rembrandt- Show off your love for hairstyling with this Comb & Scissors Charm. 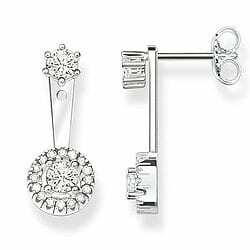 A perfect gift for anyone in the cosmetology profession. 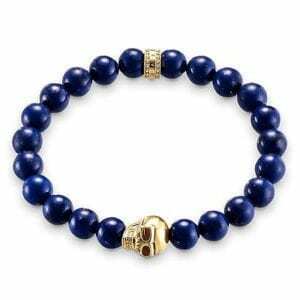 A1535-932-32 Talisman in fabulous royal blue – this Rebel at heart Stretch Bracelet is exquisitely upgraded by the skull with its yellow gold plating. 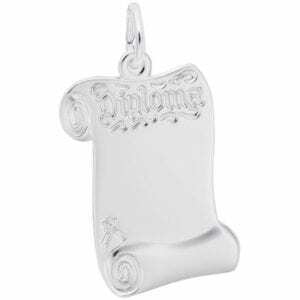 10-1093 Rembrandt- Celebrate your hard work with this Blank Opened Diploma Charm. 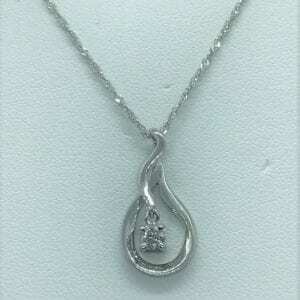 Engrave the year of graduation or the school you’re graduating from. 26075.23 One year limited warranty. 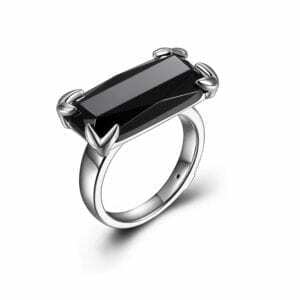 Black ion plated stainless steel bezel and matt black ceramic inlay, 5-layer non-reflecting sapphire glass. Chronograph stop-second, 60-minute display. 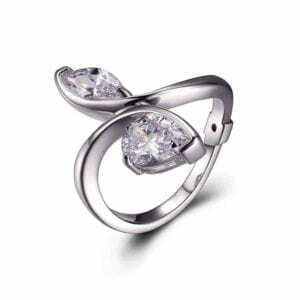 WA0164-220-203 One year limited warranty. 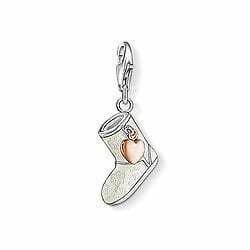 11-1022 This white-enamelled 925 sterling silver boot charm pendant is a wonderfully wintery highlight. 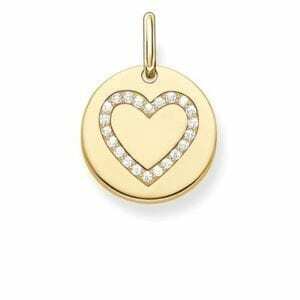 A small heart in rose gold plating. 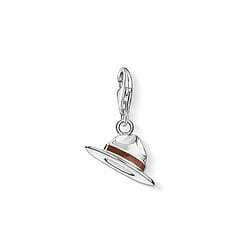 11-1181 As a Charm, the Mounties’ hat is a symbol of the untouched nature and the endless expanses of Canada. 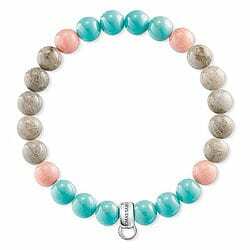 X0216-944-7 With beads crafted from rose-coloured bamboo coral, jasper and imitation turquoise, this pastel-hued Charm Club bracelet is guaranteed to add freshness to the wrist. 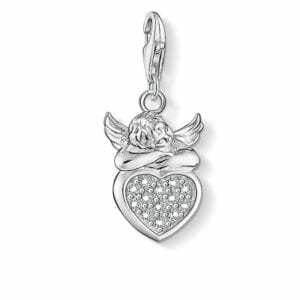 Complemented with personally-selected Charm pendants, it lends its wearer expressive personality. 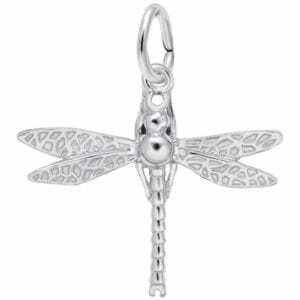 10-3693 Rembrandt- A symbol for change, this Dragonfly Charm makes a bold fashion statement. 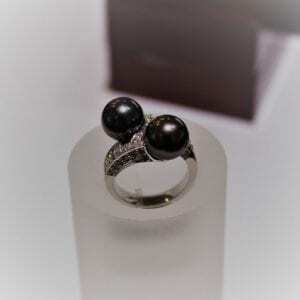 Insects including bees, butterflies and ladybugs continue to be jewelry favorites. 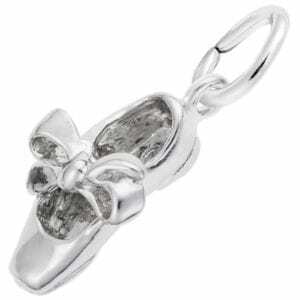 10-7798 Rembrandt- Add rhythm, shuffles and stomps to your life with the Tap Shoe With Ribbon Charm. 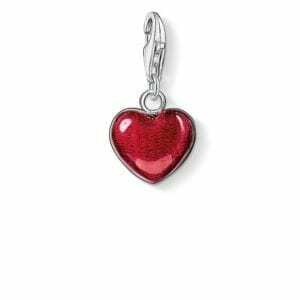 This charm makes it easy to dance to the beat. 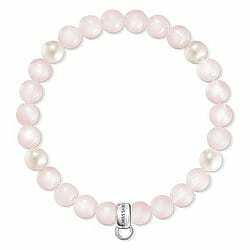 X0222-469-9 With cultivated freshwater pearls and fine rose quartz, this delicately-hued Charm Club bracelet flatters the skin tone of the wearer and envelops their wrist in a particularly subtle way. 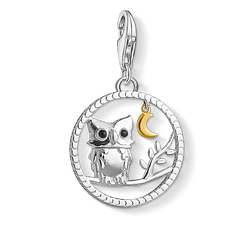 Kind and wise: this cute owl with its dazzling eyes will protect you on your path through life. 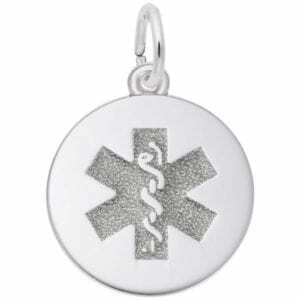 10-5098 Rembrandt- The Medical Symbol Charm is made for anyone with specific medical issues that need attention. For example: diabetes, food allergies, cancer, heart disease, etc. 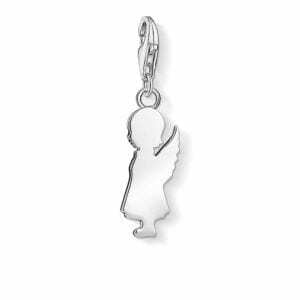 10-2214 Rembrandt- Protect the one you love with the Small Guardian Angel Charm. 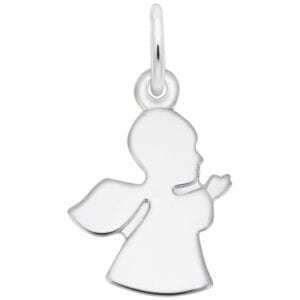 Whether religious or spiritual, this little angel makes a divine gift. 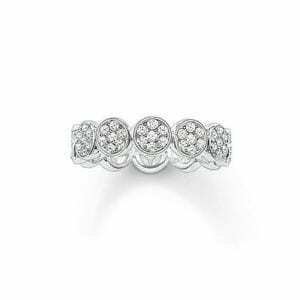 26114.29 One year limited warranty. 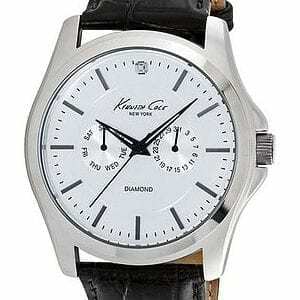 Kenneth Cole 10022310 Diamond Marker Multifunction Leather Strap Band White Dial Watch Model #: 10022310 One year limited warranty. 10-0581 Rembrandt- Your first project with Dad, you tapped each nail into the wood and were able to successfully build your first shelf. 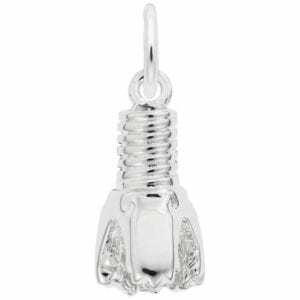 Add carpentry to your skills and celebrate with the Hammer Charm. 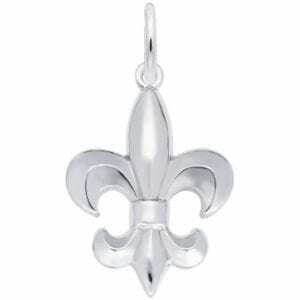 10-1014 Rembrandt- Celebrate your French heritage or a trip to New Orleans with this Fleur De Lis Charm. 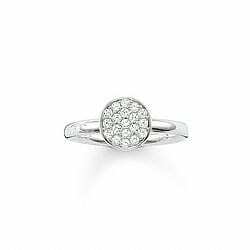 A perfect gift for her personal collection. 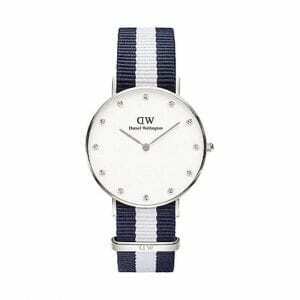 Daniel Wellington 34mm Classy Glasgow Watch with White and Navy Fabric Strap and Silver Detail. 0963DW One year limited warranty. 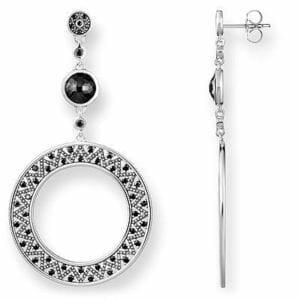 R2LBV49658 ELLE "Divine" grey mop and crystal post earrings. 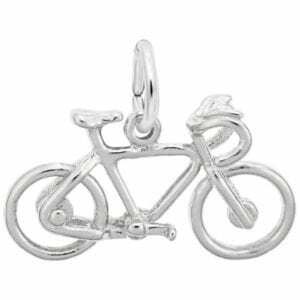 10-3921 Rembrandt- Enjoy life’s ride with this Road Bike Charm. Featuring detailed petals, handlebars, and tires, it’s perfect for any cyclist. 10-3031 Rembrandt- Everyone supports their club by wearing their teams hat. 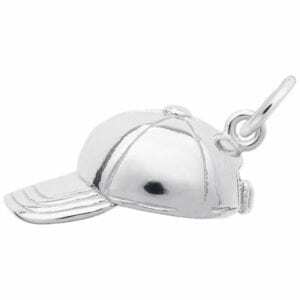 Now you can show team pride on your wrist with our Baseball Hat Charm. 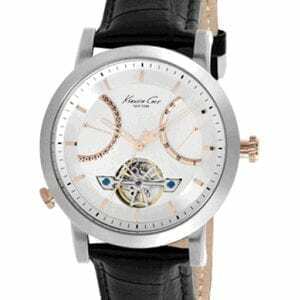 Stainless steel & IP rose gold-plated bracelet watch, with sapphire crystal, Swiss made movement. One year limited warranty. 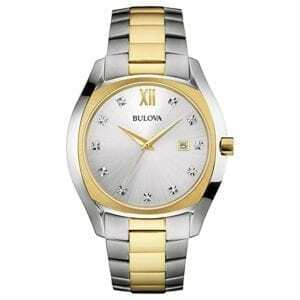 Stainless Steel watch, quartz movement, analog display, water resistance 5 ATM / 50 Meters. 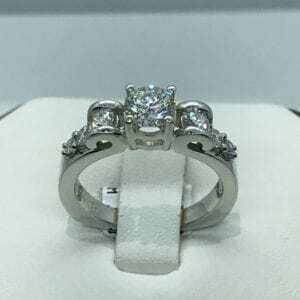 WN3048 One year limited warranty. 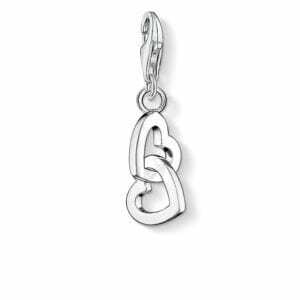 T0312-051-11 Thomas Sabo rebel at Heart pendant . 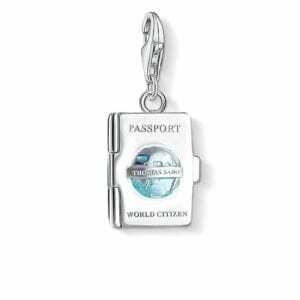 1233-007-17 Thomas sabo silver passport charm pendant. 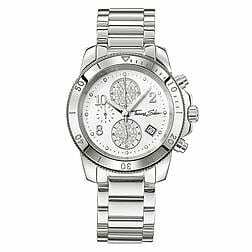 26011.41 Water Resistance : 10 ATM / 100 meters / 330 feet Chronograph Display Calfskin Strap Round Stainless Steel Case One year limited warranty. 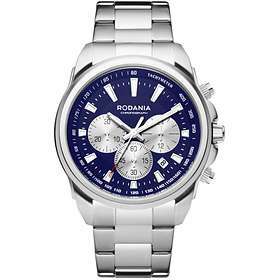 24750.46 Rodania Energy watch is a functional and handsome Gents watch . 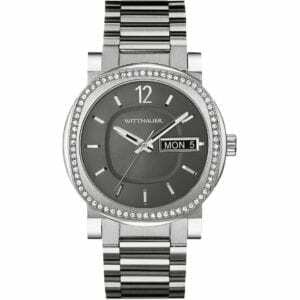 Case material is Stainless Steel, which stands for a high quality of the item while the dial colour is Black. One year limited warranty. 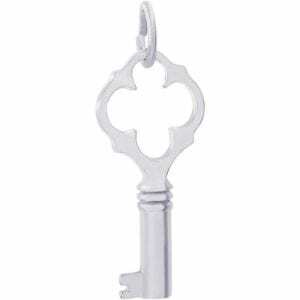 10-0388 Rembrandt- Combine vintage and modern styles with the Antique Key Charm. 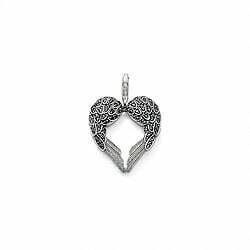 Use this charm to unlock and open her heart to love. 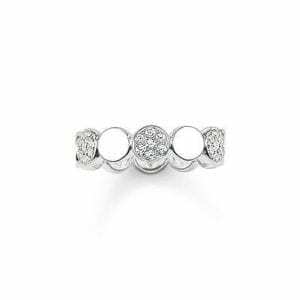 1309-051-14 Mothers are the best – this ‘Best Mum’ Charm crafted from 925 Sterling silver sparkles with heart-shaped white pavé zirconia and will bring a radiance to the eyes of any mother. 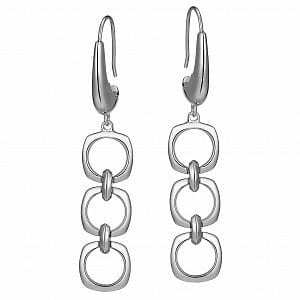 H1905-051-14 Thomas sabo silver drop earrings. 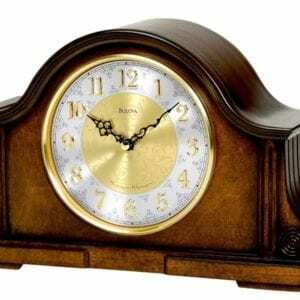 Jewelry Box Clock Wiped Walnut Finish, This charming mantel clock also doubles as a jewelry box to keep your treasured items, Solid wood and wood veneer case, Wiped walnut finish . 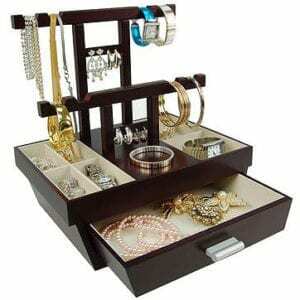 Hinged top with mirror, Two lift-out trays. B1650 One year limited warranty. 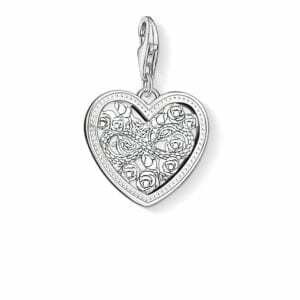 1315-051-14 Thomas sabo silver heart charm with infinity and roses. 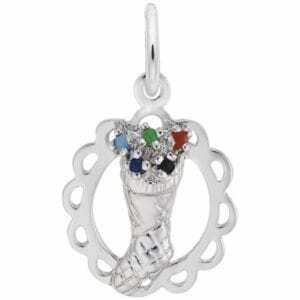 10-2730 Rembrandt-Keep warm beach memories with on a charm bracelet when wearing the Sandal With Stones Charm. 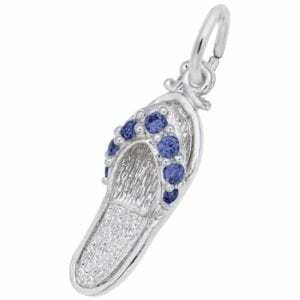 This charm flip flops as it dangles. 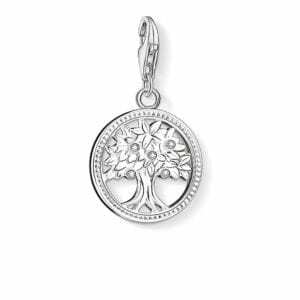 1303-051-14 Thomas sabo silver tree charm pendant. 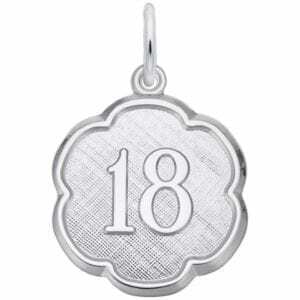 10-1333 Rembrandt- Keep your lucky number close with our engravable Number Eighteen Scalloped Disc Charm. 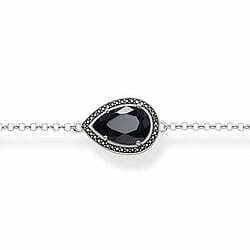 Perfect for any classic bracelet. Daniel Wellington 36mm Classic South Hampton Watch with Pink and Navy Fabric Strap. STK #: 0506DW One year limited warranty. 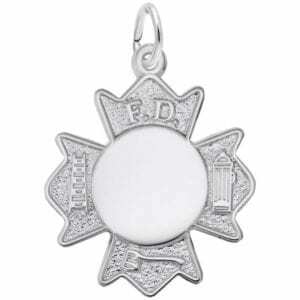 10-2946 Rembrandt- This Fire Department Badge Charm tells the world how proud you are of the emergency responder in your family. 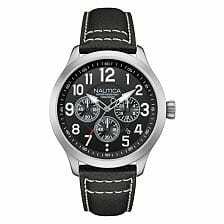 Contrast stitching on the leather strap gives this watch a casual feel, perfect for weekends, vacation and after hours. STK #: NAI14516G One year limited warranty. 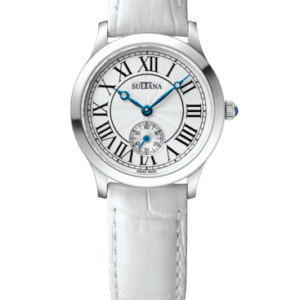 Sultana ladies white genuine leather watch 385202 One year limited warranty. 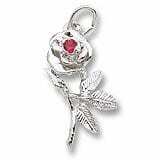 10-6489 Rembrandt- silver rose charm. 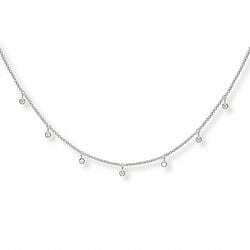 KE1329 Thomas sabo silver necklace dots. 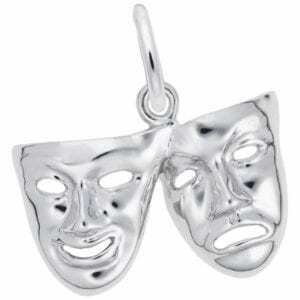 10-2123 Rembrandt- Create some drama with the Comedy & Tragedy Masks Charm. Great for actors, theatre lovers or anyone who enjoys the fine arts. 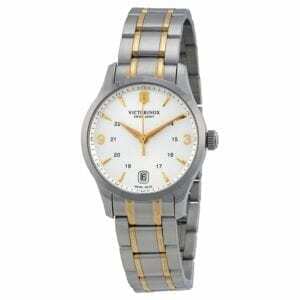 Stainless steel case, crystal sapphire, genuine leather white strap, Swiss made quartz movement. 367204SS One year limited warranty. 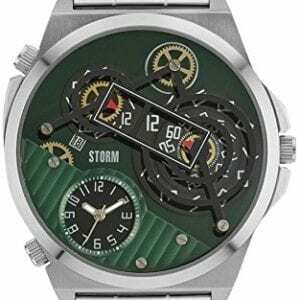 STORM Trimatic Green watch is made from stainless steel and is fitted with a quartz movement. 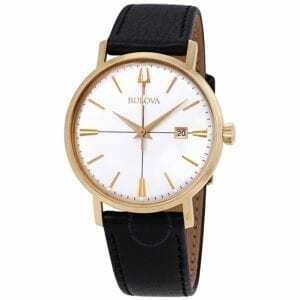 It is fitted with a silver metal bracelet and has a green dial. The watch also has a date function. 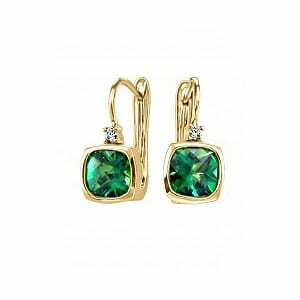 TRIMATIC-GREEN One year limited warranty. 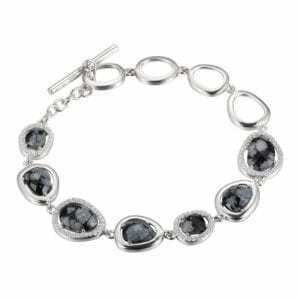 A1097-023-11 925 Sterling silver,black obsidian matted. 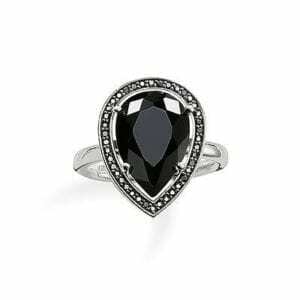 Makes a particularly casual impact when several are worn together. 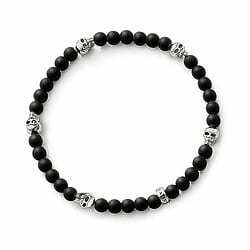 Bracelet made from matt obsidian beads, interrupted by miniature skulls. 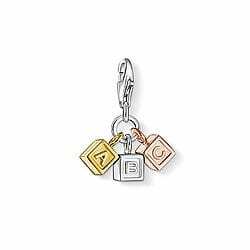 1005-431-12 Charm pendant "ABC-cube" with lobster clasp - 925 Sterling silver; 18K yellow and rosé gold plated. 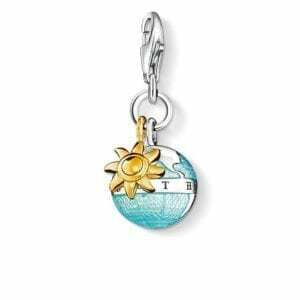 0923-427-1 Thomas sabo silver globe charm pendant with sun. 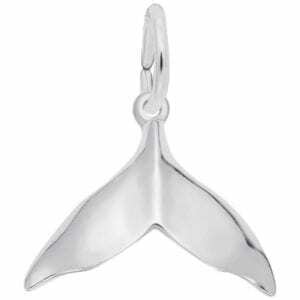 10-3684 Rembrandt- Flap your way to another addition with our Humpback Whale Tail Charm. 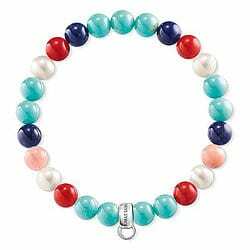 This item is sure to show off your love for the sea. 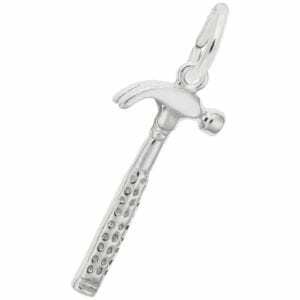 10-5746 Rembrandt- Dig your way to a new addition with this Oil Drill Bit Charm. 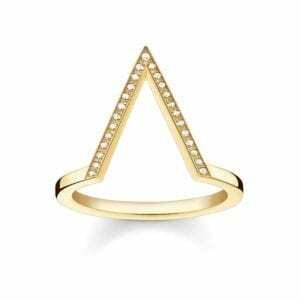 This item will bury itself in compliments. 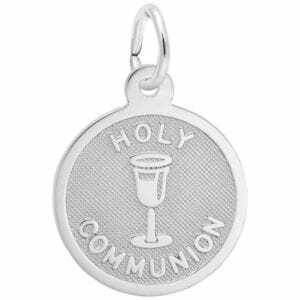 10-3543 Rembrandt- Address your child’s milestone with our Holy Communion Disc Charm. 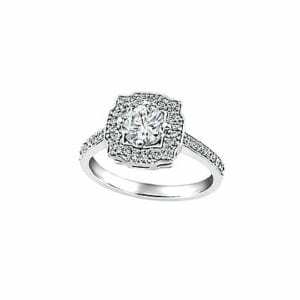 Engrave the important date and add it to any collection. 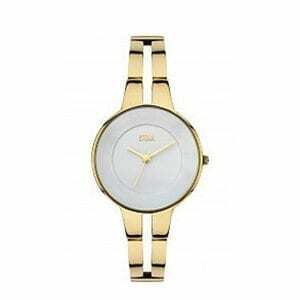 Case is made out of Two-tone steel/gold plate, which stands for a high quality of the item and the White dial gives the watch that unique look. 2504580 One year limited warranty. 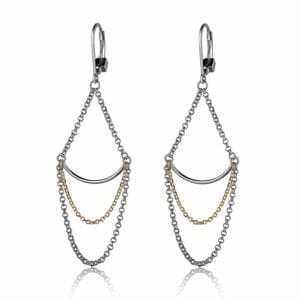 H1849-641-11 Thomas Sabo zigzag earrings. 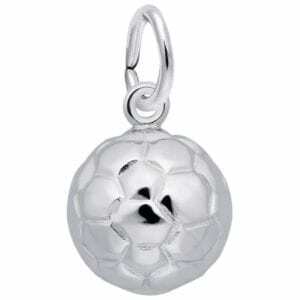 10-4989 Rembrandt- Kick up the fun with the Soccer Ball Charm. 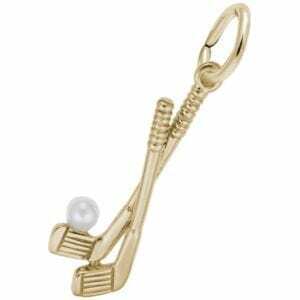 The goal is to show off your team spirit, love of the game or sports savvy. 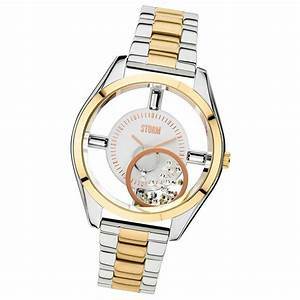 The STORM Rizzy is a sophisticated yet contemporary watch with a slim cut out bangle style strap. 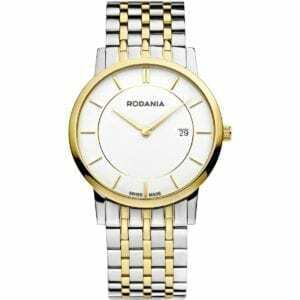 The white dial is stylish and minimalistic. 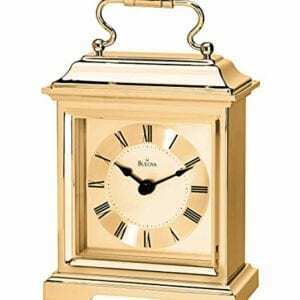 Made from 21 karat gold plated highly polished steel. Waterproof to 50m. One year limited warranty. 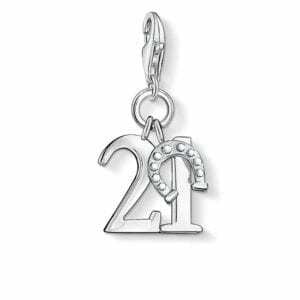 1287-001-12 Thomas sabo silver birthday party cake charm. 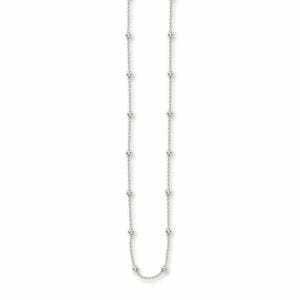 For the utmost in luxury, this dazzling timepiece features 480 crystals individually hand-set on the elegantly beveled bezel and pavé dial. 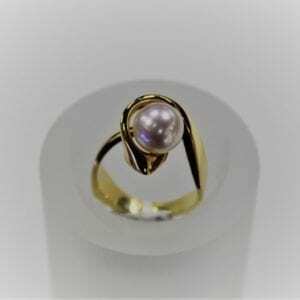 STK #: WN3057 One year limited warranty. 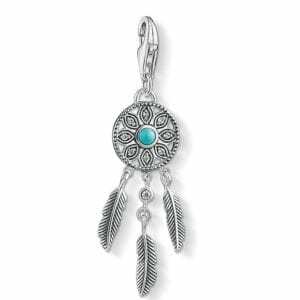 1326-646-17 Thomas sabo silver Ethno dreamcatcher charm pendant. 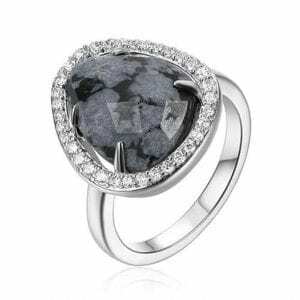 R4L980AJAG Snowflake Jasper Sterling Silver Ring from ELLE Jewelry's Halo Collection.